I began couponing about 4 years ago with the help of a friend who was a “coupon queen”. Before that I would cut coupons every now and then, but I never saw much as far as savings from them. Plus, it seemed like I was buying junk food and things we wouldn’t use. I gave up all the time and thought it wasn’t worth my time. After my friend took my hand and taught me that there was actually a method and way to coupon it changed everything. I was able to see success in cutting those coupons out! We cut our food budget from $1,300 a month for food and toiletries to $425 (in march of 2010) a month and are always looking for ways to make it even less. We found a few things that were very interesting. Statistics show if you go to the store without a list you spend on average 40% more. If you have someone (usually husbands) run in on the way home to “grab a few things” they buy on average 60% more than what they came in for. You re-buy many of the items that you already have at home because you don’t know that you have them. What we did was create our own little “Ivanovsky Mini-Mart” in our house. This idea is the key to saving you money. Basically, you want to have a “stockpile” or have “food storage” in your home of items that you have gotten for free or almost free. 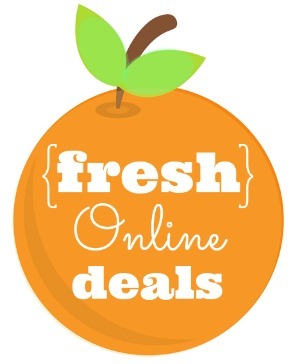 These are items that you have you bought at the lowest possible price. When they are at their lowest price you buy as many of them as you have coupons for with the idea of not buying them again until you can get them at that price again. I store everything that you can imagine. Anything that my family would need if we were not able to go to the store for a solid 3 months. Food, toiletries, diapers and wipes. At times there are items that I don’t need or use that I can get for free. If it isn’t a special trip out I still pick up these items so that I might be able to donate them. 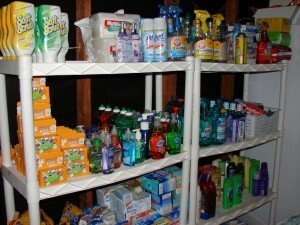 During hurricane Ike, we were able to donate over $1200 worth of toiletries item to my children school. It was such a sweet moment for me to see how proud my children were of themselves and their Mother! Still available, the great deal on the Houston Chronicle. 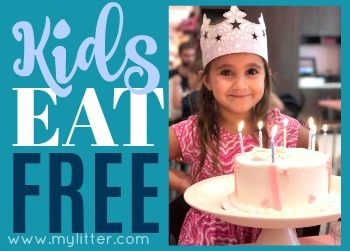 This deal is exclusive to MyLitter and I Heart The Mart! You can get up to 5 papers delivered for only $1 each paper. Plus there are some special that can actually make your papers as low as $.77 each. You can call 832-510-4013 between the hours of 9:00 AM – 8:00 PM TODAY and we can take your order over the phone. You can only pay by credit or debit card over the phone. If you want to pay by cash or check you will have to attend one of our classes. This is the only way to get a multiple subscription offer at a really good price. It takes about 6 weeks of consistently collecting coupons to really make a difference so don’t give up. Just keep looking for them everywhere around you and get at least 2 Sunday papers each week. 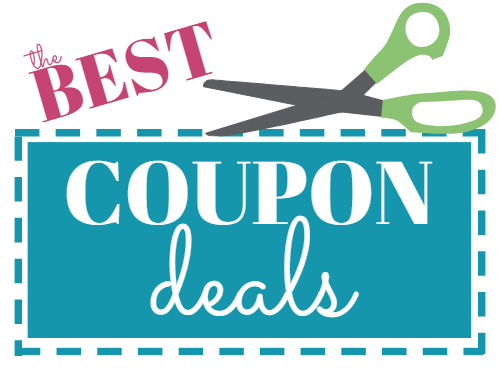 To see how I organize my coupons you can go HERE. 2. Now you need a way to store them so that you know what you have. It is important to be organized, although I am normally not an organized person but I am with my coupons, I hate missing a deal because I didn’t know where a coupon was or that I had it at all. There are a few different methods of coupons organization. You need to find a way that works for you, you might even come up with your own system. I use the coupon binder method that you can see HERE. It is easiest for me to understand and work with. 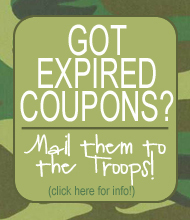 It also makes it easy to donate my expired coupons to the troops that you can read about HERE. 3. Next, this is what really is the key to couponing and saving the “Big Bucks”. If you did nothing else but just pay attentions to sales, and every now and then use coupons you can still make a big difference in your families budget. But “stockpiling” is what is really the key to taking your grocery budget from $1200 to $425 like I did. The idea is that you buy the items that you use the most at the lowest possible price and buy as many as you can or have coupons for. This way you do not have to purchase them again until they are at their lowest price. This is how to spend the least amount of money shopping for food. For example, sales are cyclical in a grocery store. Every three months or so every item in the store will be on sale at one time or another. Because I buy 6 papers a week I have anywhere from 6-12 coupons. Lets say that soft soap goes on sale at Kroger for 10 for $10. I have 12 coupons for $.50 each, they double for $1 making the soft soap free! Because I have 12 coupons I get 12 things of soap. Now I do not have to purchase soap again until it is at the lowest possible price (which for me is free!) I can hold out until it is on sale again within that 3 months. The question is how do you stockpile? Like I said above you buy at the stores lowest price, combined with a coupon and get as many as you can. Realize that coupons are cyclical just like store sales. I am going to find that I get a lot of baking coupons and canned good coupons in the fall and around the Holiday’s, I want to stock up on these things at this time. Where am I going to store it? EVERYWHERE! We have a small house and 9 people. My closets are full, the coat closet is a pantry and under the beds are sweater drawers to keep items. Have a budget. In the beginning some people spend more couponing. They are buying things that they normally would not have bought. Set aside a little extra money and spend on building your stockpile, this will save you money in the long run. Once you run out of budget, only get those things that are free after coupons. 4. This is the step that took me the longest. I have a few printable sheets to make it easier for you below. Each of us have about 10-12 recipes that we make consistency every month. Write down the ingredients for those and pay attention at the store to what the cost of those items are. Then pay attention to what the sale price is, write that price down. Then find coupons for those items. When they go on sale at the store combine a coupon with that store sale and get that item for the “lowest possible price” and get as many as you can. Now hopefully you wont need it again until you can get it for that great price. Shopping List – Feel free to print this off and keep it on the fridge to jot down those items that you need to pick up from the store! Favorite Recipes – This form will help you make a list of the top recipes that you make for your family. Freezer Inventory – Take stock of what you have already so that you don’t overbuy. But also so that you know what you are looking for. 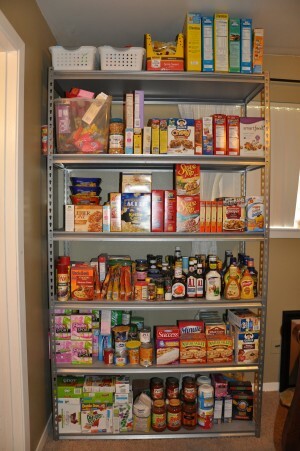 Pantry Inventory – Keep track of what you have on hand. Then make a plan on what you are using a lot of and stock up on that. Monthly Menu Planner– By planning a monthly menu you can better follow the sales and know what you need to buy. Price Page – This is an important one. Either keep it in your head or write it down. But have an idea of what the lowest prices are at your store. My Price Sheet – These are what I consider “but it now” prices for my stores in the Houston area, yours will probably be a little different. So thats it. Easy huh?! Not always, it will take a little time to figure it out, but don’t give up it is soooo worth it. Pick 1 grocery store and 1 drug store to start with. Get familiar with them and learn their coupon policy. Star slow and have a goal of just saving $40 a week, that $160 extra a month that you saved will be motivation to keep going! I like to think of the $800 a month that I save as a great part time job. If you need any help feel free to email me at mylitter @ mac.com ( remove spaces) or come to one of my coupon workshops.